Why would I need self storage in Fort Myers, FL? There are a variety of reasons why you might need self-storage in Fort Myers, FL. How much is a storage unit in Fort Myers, FL? The cheapest storage unit in Fort Myers, FL is $30.00 per month. What size storage units do you have available in Fort Myers, FL? In Fort Myers, FL we have sizes that range from 5'x4' to 10'x30' to suit your storage needs. How much is it for a 5'x4' storage unit in Fort Myers, FL? The cheapest 5'x4' storage unit in Fort Myers, FL is $35.00 per month. Fort Myers is a city in Florida that's been rapidly growing in recent years. One reason the city is growing so fast is its proximity to beaches, recreation and other attractions. Fort Myers is just minutes from the beaches and small coastal villages like Fort Myers Beach, a town about 10 minutes from the city. 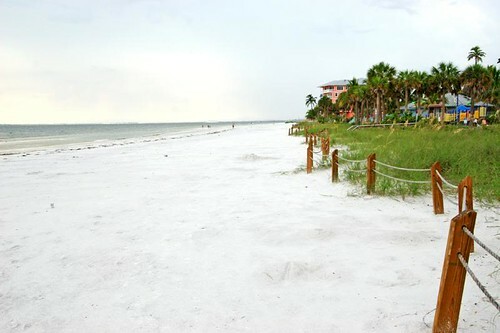 There you can enjoy white sand beaches that extend into the sparkling Gulf of Mexico. It also has a shopping and entertainment strip with bars, clubs, resorts and restaurants. With all this activity, it's no wonder the area draws a number of visitors and new residents. Fort Myers was officially founded after the Civil War, with efforts headed by Captain Manual A. Gonzalez. Gonzalez had originally discovered the area as a soldier, responsible for delivering mail and supplies to the Union Army that had set up camp during the Seminole Indian Wars and the Civil War. When the fort was abandoned, Gonzalez saw his opportunity. Establishing a trading post near the empty fort, he traded beads, tobacco, gunpowder and animal hides with neighboring Native American tribes. Slowly a small community began to grow around the trading post. In 1885, Fort Myers was officially incorporated, becoming one of the largest Florida cities on the Gulf Coast. That same year, the town welcomed one of its most famous residents, Thomas Edison. Edison built his winter home and laboratories in the area, and spent many years enjoying the local fishing and recreation. The city began to grow quickly with the arrival of the railroad, and the community began to develop. In addition to Thomas Edison, Fort Meyers was also home to Harvey Firestone and Henry Ford, completing the trio was called the "Millionaire's Club" of that era. Today, you can tour the former estates of Ford and Edison and get a peek into Fort Myers' days gone by. In Fort Myers you'll enjoy a laid-back lifestyle with balanced work and play. Attractions include cultural events at the Florida Repertory Theater, sports at JetBlue Park and CenturyLink Sports Complex and outdoor recreation opportunities in state parks such as Manatee Park. There's a lot to see and do in and around the city. Several corporations make their home in the Fort Myers-Cape Coral area, including Chico's FAS Inc. The area offers great tax incentives for businesses to set up shop here, which is good news for the growing economy. Currently, financial services and advanced manufacturing are among the growing industries and are a good place to start if you're searching for a job in Fort Myers. Fort Myers students attend school in the School District of Lee County, a very large district that encompasses all of Lee County. Several cities in Fort Myers have received national recognition and awards for outstanding academic achievement. There are also a handful of colleges in the area, including Fort Myers Technical College and Keiser University. Utilities: The city of Fort Myers facilitates residential water services and billing. The primary energy provider is Florida Power & Light (FPL). Garbage and Recycling: Trash, recyclables, yard waste and bulk waste are all collected once per week. Your specific collection days are determined by your neighborhood's location. Transportation: The LeeTrans bus and trolley system provides public transportation in and around Fort Myers. The housing market in Fort Myers is fairly diverse and very affordable. When considering the opportunities in the area and proximity to beaches and downtown attractions, homes are reasonably priced. They are slightly more expensive than in other areas of Florida, but a range of options make it possible to find something within your budget. Our lowest priced units in Fort Myers, FL average $36.80 per month. 333 people have reserved units in Fort Myers, FL in the past 30 days. There are 5 locations within Fort Myers, FL's city limits. There are 4 locations in Fort Myers, FL that offer AC and Heating features.